Explore the features of NearBee and find out how to test your beacons with the app. 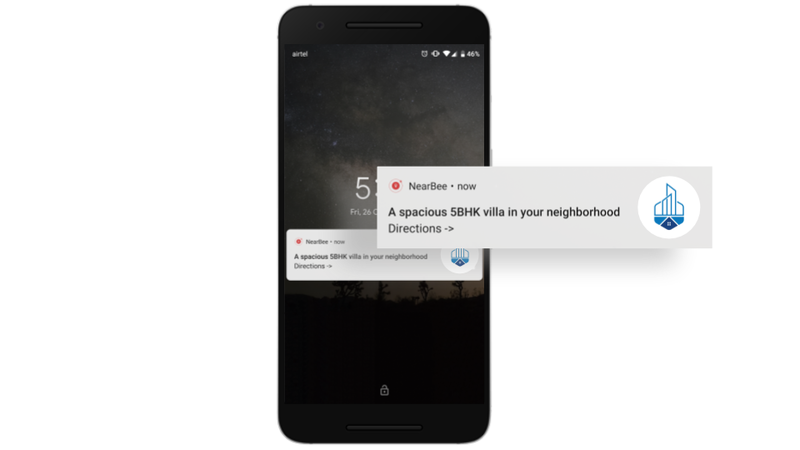 NearBee, a beacon-aware hardware-agnostic app, allows you to send relevant, contextual and hyperlocal content to your consumers within the range of the beacon. Please visit to ensure your non-Beaconstac beacons are detected by NearBee. Displays all notifications: Unlike Nearby Notifications, all the notifications are displayed on the lock screen. 2. Active notifications: Users are alerted by either a tone or a vibration which can be modified within the app. Since the notifications are not passive, it causes the user to engage with all notifications. 3. 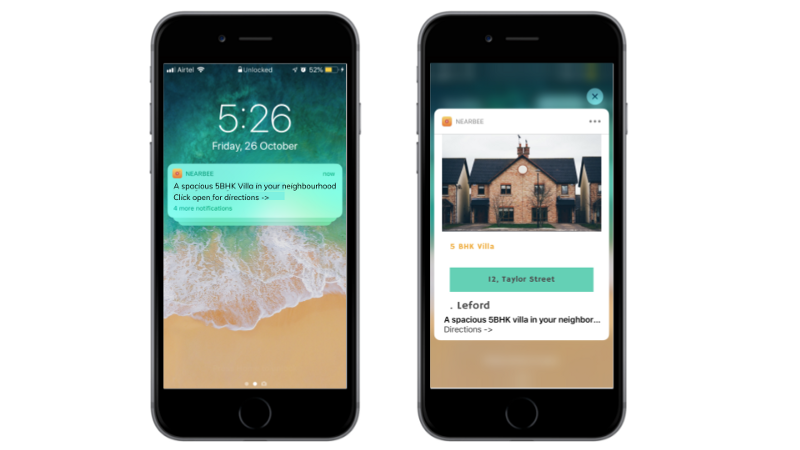 Visually rich notifications: All notifications on the lock screen are accompanied with an aesthetically pleasing image giving the user more insight into the campaign. 4. No duplicate notifications: NearBee doesn't spam users by sending them the same notification over and over again. The same notification isn't displayed unless they re-enter the beacon range. If you'd like to test your beacons with NearBee, switch on the Debug mode in the app. You should be able to see all the notifications. Notifications in the Debug mode will be repetitive. The Debug mode is switched off in the app to prevent spamming the consumer with the same notification multiple times.